SCORPION-Glass Cleaner adopes unique formula in action of dissolving tough rust stains, killing germs and shines the surface, will leaves a pleasant freshness. his powerful and versatile multipurpose cleaner gets every washable surface beautifully clean and streak-free without rinsing. Lime perfumed highly concentrated premium quality multipurpose hygienic cleaner. Flora keeps away flies, mosquitoes and leaves a lime fragrance throughout the day. Available in 250ml, 500ml, 5ltr pack. - Application Method: Brush, broom, wipe or spray. - Shelf Life: 2 years minimum from date of manufacture when maintained in protected storage @ 5 – 38 °C. - Very suitable for offices, hotels ands homes as it can be used in bathrooms, kitchens, toilets etc. 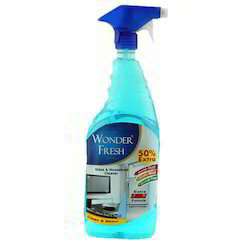 - You can depend on Kleen Multi Utility Cleaner to keep all places free from bacteria & germs. 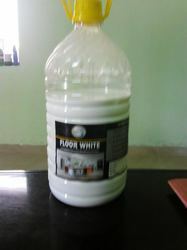 We are engaged in offering Glass Cleaner (Ready To Use). This cleaner liquid for use on many surfaces including glass windows, mirrors, windshields, showcases, glass displays and any other see thru surfaces. This ready to use product is a perfect blend of Anionic Surfactants and Isopropyl Alcohol, resulting in excellent shining.